Fit Fluential Mom: 3 Ingredient Zoodles! 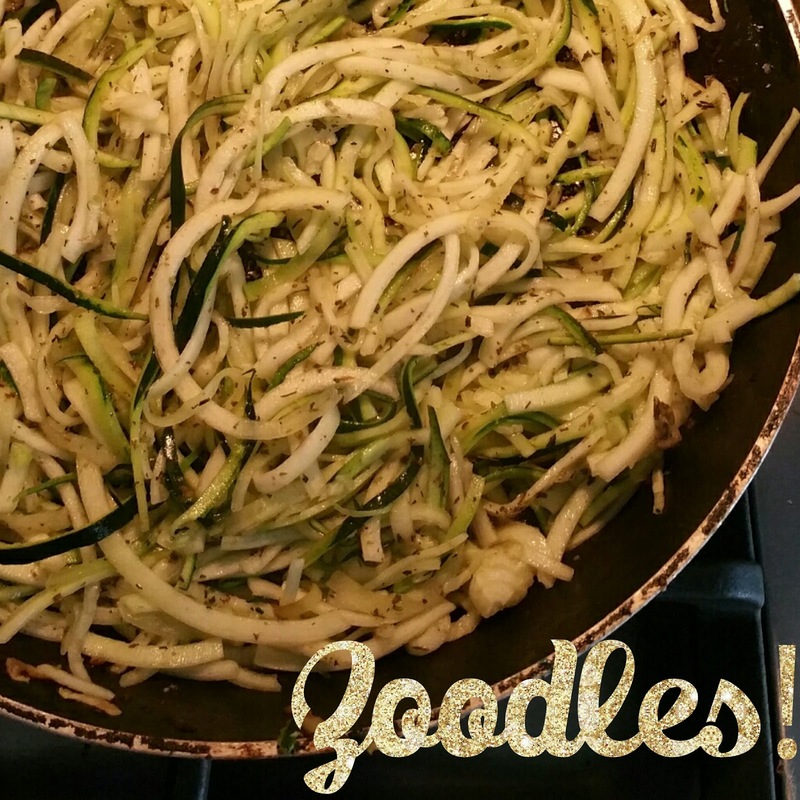 So I've been wanting to attempt zoodles for quite a long time but that little machine intimidated me. Last night I finally got the nerve to use it and it was a success! I didn't have a recipe planned nor did I have very many ingredients for it if I went with a basic one and used it as a side dish. Here it is! Let me know what you think if you try it! 1. Wash the zucchini and spiralize it with skin on using thicker of two settings. 2. Heat up small amount of oil in pan (1 tsp) and add zucchini. 3. 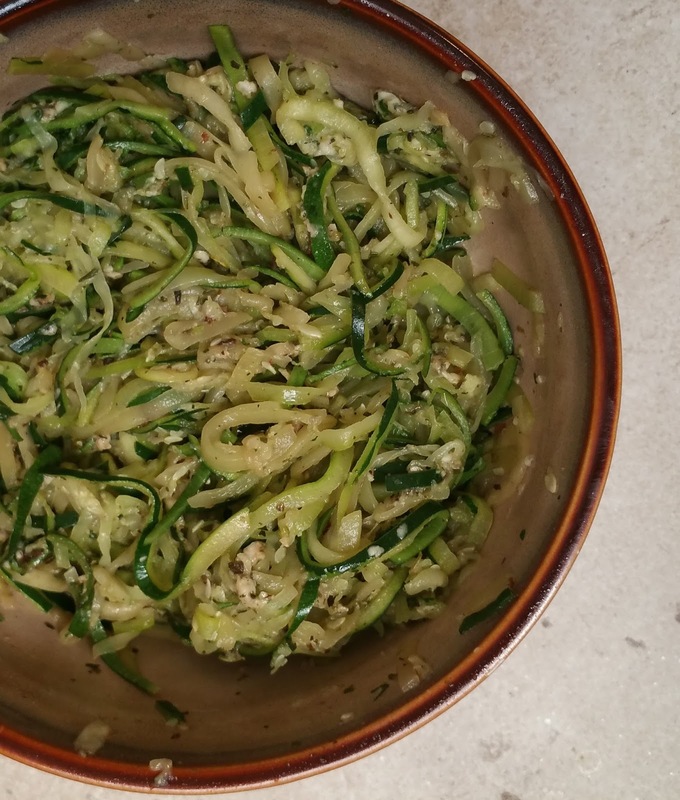 Cook for a few minutes until zucchini is tender, becomes more translucent and begins to lose water. 4. Drain water and add a teenie tiny bit (1 tsp) of oil if desired. 5. Blend in parmessan and spices, cook for a few more minutes and serve. 6. Pair it with any type of protein and/or carb. I paired it with chicken and quinoa and it was a hit. Shrimp, fish, steak and turkey are also good options!